Our panel of music testers. 1. Have we had a chance to listen to it? 2. Do we like it? Obviously, musical taste is entirely subjective and very personal. So Birch Street Radio is a very personal mix of music that happens to grab our ears. We hope you'll enjoy our choices -- at least more often than not. This week our ears were grabbed by a track that came our way from Hannah Jane Kile, a 21-year-old singer, songwriter and guitarist from Auburn, Calif. As far as we can tell, she isn't well-known outside the Northern California area - yet. But "Warm Your Heart," from her new album Little Blue Heron, shows she's an artist with a lot of potential. So we've added it to our New Music bin and hope you enjoy it, too. Also joining the many strong female voices in our lineup is Wynonna Judd. Although we're not a country-music station, some of our favorite rock and folk artists have a bit of a country streak. Now here's a country artist who's pushing into Americana country/rock territory with her new band, Wynonna and the Big Noise. And their first single, "Cool Ya," has pushed its way into our New Music Bin. We've also added a new single from Catfish & the Bottlemen, "Soundcheck." This is another group that hasn't been in our playlist before, but hey, we like to throw some fresh garage-band sounds into the mix now and then. 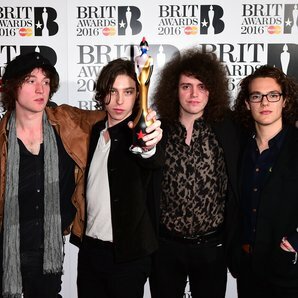 And they did just win the BRIT Award for British Breakthrough Act, so that helped catch our attention. Want to tip us to some music you think we should play? Go ahead and email us. Will we play it? See #1 and #2 above. We like Catfish & the Bottlemen here in Ohio!! Thanks!